Full Body Burden is a haunting work of narrative nonfiction about a young woman, Kristen Iversen, growing up in a small Colorado town close to Rocky Flats, a secret nuclear weapons plant once designated "the most contaminated site in America." It's the story of a childhood and adolescence in the shadow of the Cold War, in a landscape at once startlingly beautiful and--unknown to those who lived there--tainted with invisible yet deadly particles of plutonium. It's also a book about the destructive power of secrets--both family and government. Her father's hidden liquor bottles, the strange cancers in children in the neighborhood, the truth about what was made at Rocky Flats (cleaning supplies, her mother guessed)--best not to inquire too deeply into any of it. But as Iversen grew older, she began to ask questions. She learned about the infamous 1969 Mother's Day fire, in which a few scraps of plutonium spontaneously ignited and--despite the desperate efforts of firefighters--came perilously close to a "criticality," the deadly blue flash that signals a nuclear chain reaction. Intense heat and radiation almost melted the roof, which nearly resulted in an explosion that would have had devastating consequences for the entire Denver metro area. Yet the only mention of the fire was on page 28 of the Rocky Mountain News, underneath a photo of the Pet of the Week. In her early thirties, Iversen even worked at Rocky Flats for a time, typing up memos in which accidents were always called "incidents." And as this memoir unfolds, it reveals itself as a brilliant work of investigative journalism--a detailed and shocking account of the government's sustained attempt to conceal the effects of the toxic and radioactive waste released by Rocky Flats, and of local residents' vain attempts to seek justice in court. Here, too, are vivid portraits of former Rocky Flats workers--from the healthy, who regard their work at the plant with pride and patriotism, to the ill or dying, who battle for compensation for cancers they got on the job. Based on extensive interviews, FBI and EPA documents, and class-action testimony, this taut, beautifully written book promises to have a very long half-life. KRISTEN IVERSEN grew up in Arvada, Colorado, near the Rocky Flats nuclear weaponry facility and received a Ph.D. in English from the University of Denver.She is director of the MFA Program in Creative Writing at the University of Memphis and editor-in-chief of "The Pinch," an award-winning literary journal. During the summers, she serves on the faculty of the MFA Low-Residency Program at the University of New Orleans, held in San Miguel de Allende, Mexico, and in Edinburgh, Scotland. She is also the author of "Molly Brown: Unraveling the Myth, " winner of the Colorado Book Award for Biography and the Barbara Sudler Award for Nonfiction. Iversen has two sons and lives in Memphis. Visit her website at KristenIversen.com." "Intimate…Powerful…A potent examination of the dangers of secrecy…A serious and alarming book [that] has its share of charming moments." "Beautifully fuses Iversen's personal saga of maturation with the profoundly shocking history of the Rocky Flats site that few bothered to inform themselves about...Iversen writes her 50-year account in the present tense, a choice that lends her narrative a crackling immediacy. She writes with an eloquent precision, surprises frequently with personal anecdotes and abrupt, savory transitions. The result is fiercely non-polemical, nuanced and ultimately fully convincing...Iversen's account of two fires at the plant separated by 30 years, one of which nearly went critical, sears with first-person, real-time immediacy...Resonates with deep personal honesty...When she writes about the historical actors outside her personal orbit it is with a clarity of purpose and an economy of motion...Iversen has left us a beautiful memoir that recognizes the inevitable intrusion of greater social forces in all our lives and the risk we take in ignoring them." 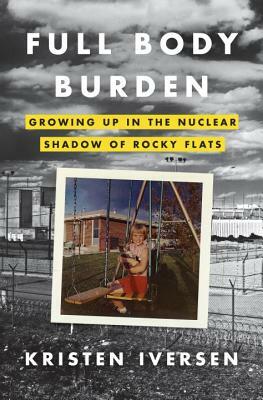 "Iversen's carefully pruned memoir layers the story of the Rocky Flats nuclear weapons plant in Colorado, a cold-war darling that made plutonium triggers, over her life in its 'nuclear shadow.' Her greatest feat, beyond her clear exposition of decades of scientific mismanagement, is to explain our capacity to ignore what seems too deeply embedded to fix." "With honesty and dignity, Iversen explains how her increasingly troubled father and ineffectual mother created a fragile home life that depended on silence and secrets...The intimately personal passages of the book, seamlessly interwoven with the cold, hard facts of Rocky Flats, speak most eloquently and movingly about what it's like to watch the unfolding of painful events over which one has no control...Iversen reminds readers that the tragedy of Rocky Flats is not only the terrible effects of the radiation itself but also the knowledge that deliberate harm was done, can never be undone, and should never be forgotten." "Gripping...exquisitely researched...A superbly crafted tale of Cold War America’s dark underside." "In this powerful work of research and personal testimony, Iversen chronicles the story of America’s willfully blinkered relationship to the nuclear weapons industry through the haunting experience of her own family in Colorado…The grief was ongoing, as Iversen renders in her masterly use of the present tense, conveying tremendous suspense and impressive control of her material." "Iversen seems to have been destined to write this shocking and infuriating story of a glorious land and a trusting citizenry poisoned by Cold War militarism and 'hot' contamination, secrets and lies, greed and denial....News stories come and go. It takes a book of this exceptional caliber to focus our attention and marshal our collective commitment to preventing future nuclear horrors." "Full Body Burden is one of the most important stories of the nuclear era--as personal and powerful as "Silkwood," told with the suspense and narrative drive of The Hot Zone. With unflinching honesty, Kristen Iversen has written an intimate and deeply human memoir that shows why we should all be concerned about nuclear safety, and the dangers of ignoring science in the name of national security. Rocky Flats needs to be part of the same nuclear discussion as Three Mile Island, Chernobyl, and Fukushima. So does Full Body Burden. It's an essential and unforgettable book that should be talked about in schools and book clubs, online and in the White House." "What a surprise! You don't expect such (unobtrusively) beautiful writing in a book about nuclear weapons, nor such captivating storytelling. Plus the facts are solid and the science told in colloquial but never dumbed-down terms. If I could afford them, I'd want the movie rights. Having read scores of nuclear books, I venture a large claim: Kristin Iversen's Full Body Burden may be a classic of nuclear literature, filling a gap we didn't know existed among Hersey's Hiroshima, Burdick and Wheeler's Fail-Safe and Kohn's Who Killed Karen Silkwood?" "This terrifyingly brilliant book--as perfectly crafted and meticulously assembled as the nuclear bomb triggers that lie at its core--is a savage indictment of the American strategic weapons industry, both haunting in its power, and yet wonderfully, charmingly human as a memoir of growing up in the Atomic Age." "Why didn't Poe or Hitchcock think of this? Full Body Burden has all the elements of a classic horror tale: the charming nuclear family cruising innocently above the undercurrents of nuclear nightmare. But it's true and all the more chilling. Kristen Iversen has lived this life and is an authority on the culture of secrecy that has prevented the nation from knowing the truth about radioactive contamination. This is a gripping and scary story." "Kristen Iversen has written a hauntingly beautiful memoir that is also a devastating investigation into the human costs of building and living with the atomic bomb. Poignant and gracefully written, Iversen shows us what it meant to come of age next door to Rocky Flats--America’s plutonium bomb factory. The story is at once terrifying and outrageous." "The fight over Rocky Flats was and is a paradigmatic American battle, of corporate and government power set against the bravery and anger of normal people. This is a powerful and beautiful account, of great use to all of us who will fight the battles that lie ahead." "Kristen Iversen's ingenious fusion of these two tales: her family's ongoing denial of her father's alcoholism with one of the most successful cover-ups in the history of the U.S. military machine, increases the half life of her story's power to affect our lives exponentially. More than the sum of its well-made and riveting parts, Full Body Burden asks us to take a fresh look at our complicity in the lies we've been told, as well as the ones we are telling. As a Coloradoan, as a U.S. citizen, I can't imagine a more effective lifting of the shroud of Rocky Flats." "Part memoir, part investigative journalism, Full Body Burden is a tale that will haunt your dreams. It's a story of secrecy, deceit, and betrayal set in the majestic high plains of Colorado. Kristen Iversen takes us behind her family's closed doors and beyond the security fences and the armed guards at Rocky Flats. She's as honest and restrained in her portrait of a family in crisis as she is in documenting the incomprehensible betrayal of citizens by their government, in exposing the harrowing disregard for public safety exhibited by the technocrats in charge of a top-secret nuclear weapons facility. For decades the question asked by residents living downwind of the plant was 'Would my government deliberately put my life and the lives of my children in danger?' The simple and irrefutable answer was 'Yes, it would . . . in a Colorado minute.'" "Iversen's reporting, extensive interviews, and review of FBI and EPA documents, shows how classifying a toxic nuclear site led to the ruin of hundreds of lives--and continues to pose ever-escalating threats as the legacy of what we know about such nuclear contamination is being swept under the rug by developers, energy lobbyists and government agencies colluding with them, at the risk of exposing more of us, more severely." "Kristen Iversen’s Full Body Burden is a book that both dazzles with its literary versatility and astounds with its revelations about the nexus of greed, fear, and indifference that created, and continue to create, a culture of silence surrounding the Rocky Flats nuclear weapons plant. Iversen has paid the price for this silence, and her ethos is unquestionable. Her ultimate refusal to be silenced makes Full Body Burden nothing short of heroic. Painstakingly researched for over ten years--but arguably a lifetime in the making--this book subverts expectations of genre by combining elements of memoir, journalism, physics, environmentalism, history, social activism, and politics--all artfully fused in Iversen’s fluid and beautiful prose.'"